The NECI pension scheme has been approved by the Revenue Commissioners and is fully regulated by the Pensions Board. This scheme also allows employers to join. 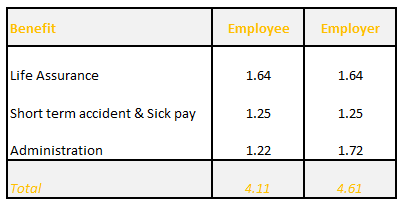 The total contribution to the NECI pension scheme is at a rate of 6.2% of the employees salary subject to a minimum payment of €4.11 by the employee. 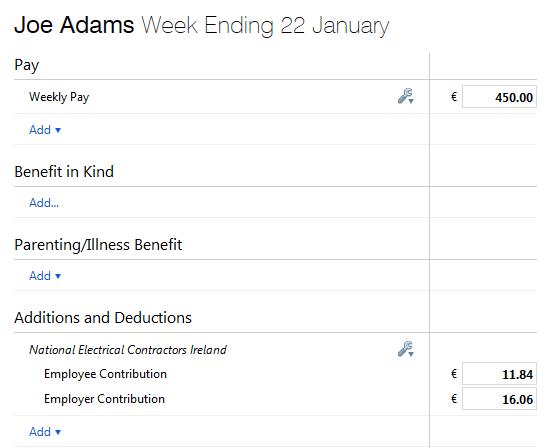 The employee portion of the benefit, €4.11, is always the initial deduction from the employees salary, this is not tax allowable. 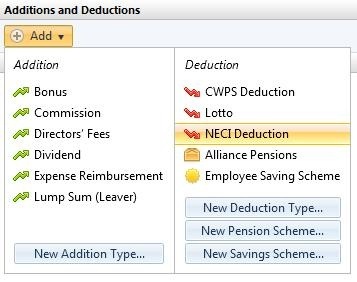 The balance of the deduction is a pension contribution which is tax allowble. Employers contribute 3.7% for every hour worked by each employee. Employees contribute 2.5% for every hour worked. 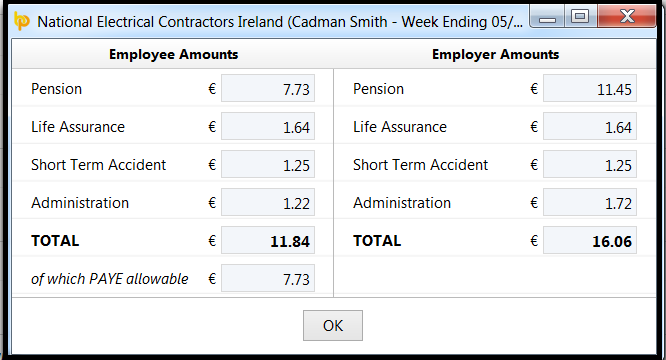 3) Should you wish to edit the NECI pension you have set up at any time, simply click the ‘Edit’ button. 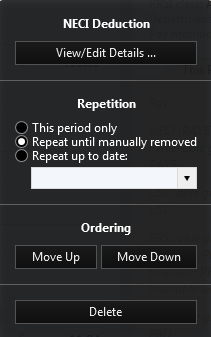 Here you will find a facility to set the scheme to repeat every pay period until you choose to manually remove it or to repeat up to and including a particular pay period in the future. 4) If you wish to re-order two or more additions/ deductions you have set up, an ‘Ordering’ facility is also available here. 5) If you wish to delete the NECI pension, click ‘Delete’.